For so many, a dog is not just a pet, he’s part of your family. If your pup holds a special place in your heart, you may be looking for special ways to include him in your wedding as well. The good news is there are lots of options! 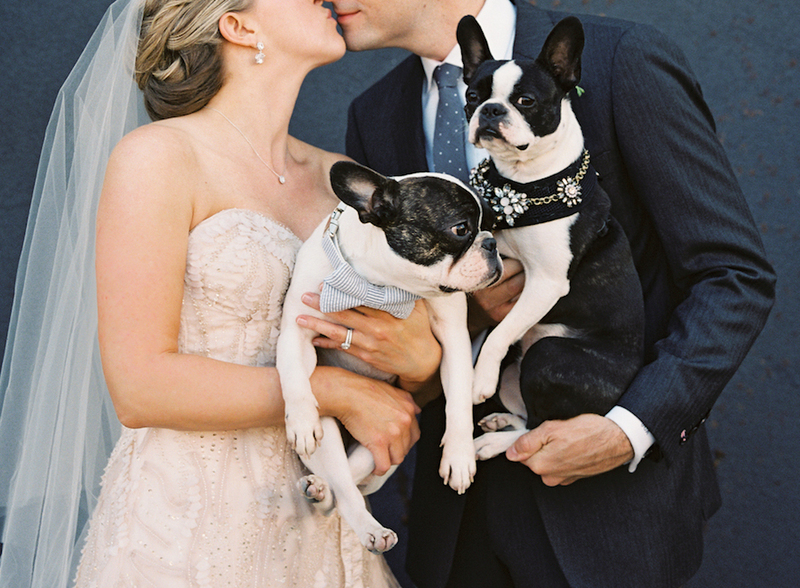 Take a look at these adorable photos from some of our favorite weddings. Every bride needs their friends and family around as while getting ready for her big day. Many hotels have pet-friendly policies so that your pup can be there with you for photographs as you’re getting dolled up. 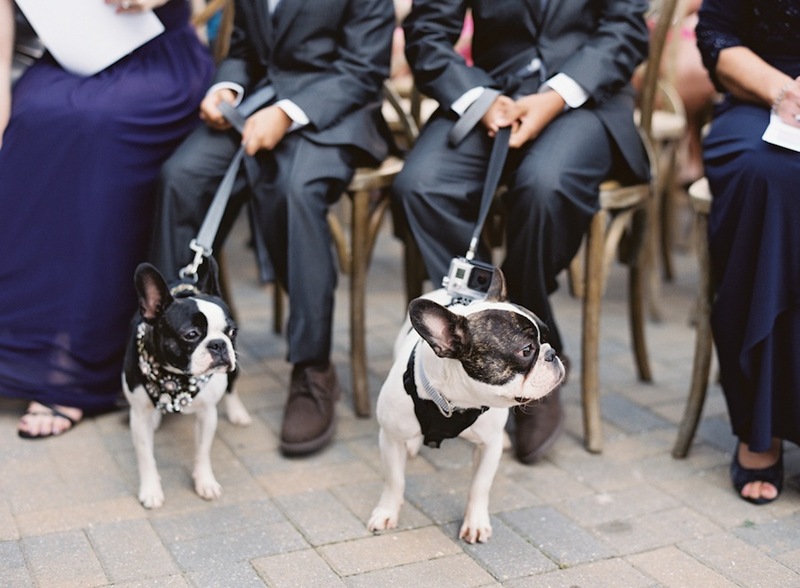 For really talented (and obedient) pups, your dog could play a special role as best man, ring bearer or even videographer, wearing his own mounted GoPro camera on a harness. For dogs who may not want to play such a leading role, have your pup on hand for family shots. Make sure he or she has a snazzy outfit to complement your attire. There are options from collars with bowties, neck ties, or fabric flowers. You can also ask your florist to provide a floral collar made of babies breath or greenery. 1. Are dogs allowed at your venue? include your dog in your engagement photos or in your post-ceremony pictures outside! 2. 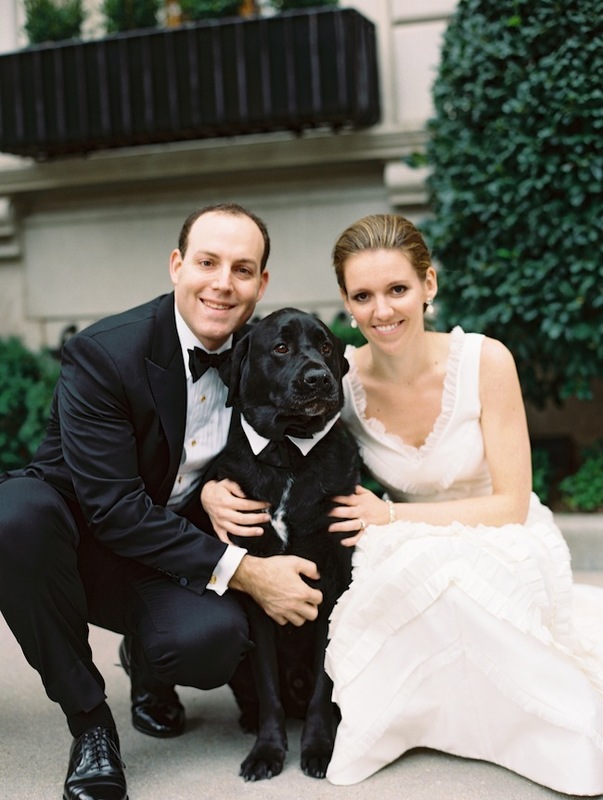 Is your canine companion’s temperament compatible with a wedding? The last thing you want is for your furry friend to take off running the wrong way down the aisle, or get too enthusiastic about greeting guests along the way. Think about how long your pet will be able to participate before getting tired or bored and plan accordingly. Ask a dog-savvy family member or friend to be your dog wrangler as you’ll need someone to hold the leash and move off to the side if Fido gets too excited. Make sure your plans are safe for both your pup and your human guests. If you’re planning to dress your dog up, make sure the clothing is dog-safe (no toxic materials or choking hazards)! Make sure any floral items he is near aren’t poisonous if ingested. You would also do well to inform your guests that your dogs will be present so that anyone with allergies (or even a fear of dogs) can prepare. Most dogs will tire after a few hours – they’re missing out on their daily naptime with all the excitement! Make plans for Fido to head out to his own special vacation at a local doggie daycare or boarding facility. Or hire a dog walker to take him out for walks from your pet-friendly hotel. Most pet-friendly hotels will have a list of dog walkers, or you can use one of our favorites: Wagtime. They provide services for daycare, boarding and dog walks! If your photographer is expecting those unexpected adorable moments that pets create, he or she is far more likely to catch them on camera. Plus, your photographer might have some really cute ideas to suggest as well!